Definition of Masculine looks is no more the same. Chocolate looks are no more the desire. For girls who now love its hooks. Guys grow it long and try naughty looks. Beard and Moustache is again the symbol of men's pride. No one can touch it except barber's scissor, twice or even thrice in a while. But is it easy to groom with frequency so high? Saloon's bill will tease you and kiss your money bye-bye. That doesn't mean that I'll compromise with my killer looks and style. I have a kit which gives me both power and smile. with my own hands let me craft my personality. 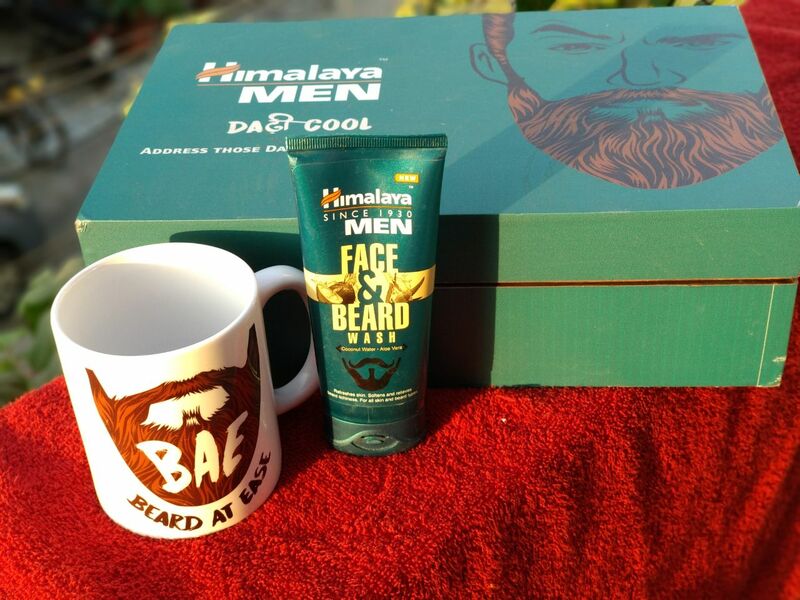 Himalaya Men beard Care kit is one stop solution to all your worries. Yes, this box is all you need to solve your beard grooming problems. let's just jot down what all problems we do face while growing beard. 1. Washing: Beard its actually hairs on the face. Now what you want me to use facewash or shampoo? Facewash will make my beard dry and rough. Shampoo will not give me freshness and feeling of cleanliness. solution, a combination of both, facewash and beard wash in one. It refreshes, cleans and keeps your beard hydrated. 2. Grooming: Biggest challenge in grooming beard is the measurements of cut and clean. Divided from center your face is a mirror image and so your beard should be. + - of even 1/2 cm will take your machoism to the ground and make you look stupid. And you are either lefty or righty, ita not at all easy to be that accurate. That's why wooden made beard measuring comb which will remove the probability of error. There is still a lot is left to say but you have to wait for my next post for that. Till then Be the Master of your personality!